Today is the anniversary of the death of Sir Thomas Tyldesley 1612-1651 who fell at the Battle of Wigan Lane. In 1679, Alexander Rigby, then High Sheriff of Lancashire, who had fought alongside Sir Thomas Tyldesley erected a monument to him at the site of the battle in Wigan Lane. The monument stands at the junction of Wigan Lane and what is now Monument Road and can be seen on Google Maps. 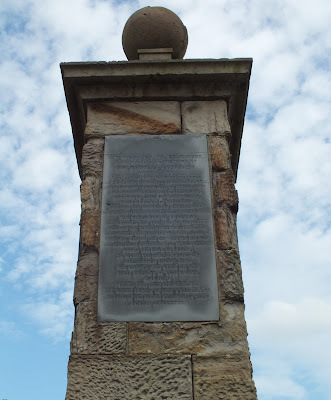 A later post describes the state of the Tyldesley Monument in 1750, and an article published in Past Forward in April 2013 records the changes in wording which have occurred in the inscription over the years.